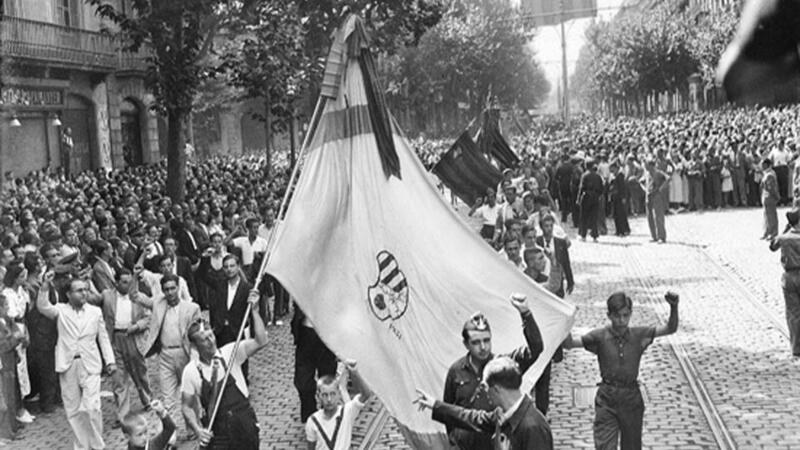 From the Franco era to modern day Europe, Club Esportiu Europa has been prevailing in times of uncertainty to accumulating the respect of an entire union. Marcos Molinero takes us through the journey of Barcelona’s most resilient football club and music scene. Football in Spain is more than just the be and end all of sport, there is no other sport that excites more than bullfighting in their history. Surely it is something in common with most of Europe. There is no city, square, or park that you do not see children playing with a ball, where teenagers and adults wear the stripes of their team with pride every day. The whole country stops when the “El Classico” is played and in the big cities, the derbies between teams of the same city are almost like small battles. But despite the love that Europeans have for football, there is no more European team than our protagonist, a club that is the only one who proudly wears the European Union flag on its shirt. Although initially, the name of CE Europa was pure chance, over time the name was given value, including a reception in Strasbourg by the EEC in 1998 after beating FC Barcelona in the 1997 Catalunya Cup. 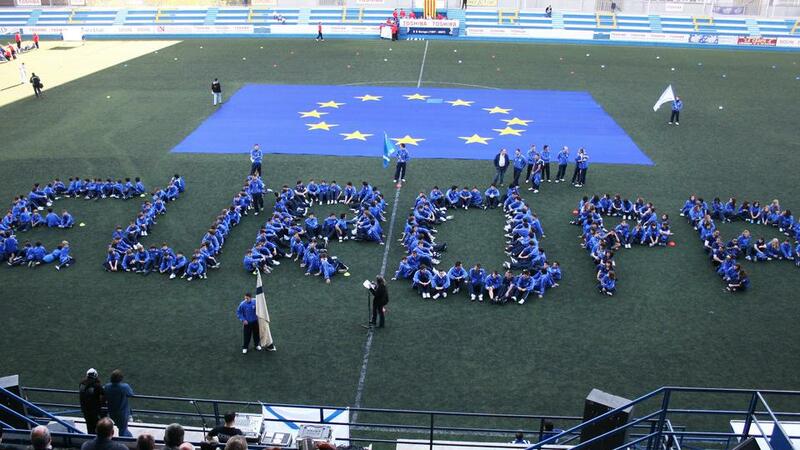 That visit also served to grant the club permission from the EEC to wear the EU flag. Even today, across the continent, some presentations of inferior category teams, mosaics of the EU flag have been made, playing with the name of the continent, the club, and the special and curious bond that unites them. The club, knowing that it has a unique link with the EU, decided to strengthen it, and although this feeling is still Catalan, mostly in favour of Catalan independence, they are a Pro Europa club above all. While FC Barcelona takes side for Independence and RCD Espanyol are quiet, they (CE Europa) take the path of Europe. The Spanish government threatens Catalonia with the expulsion of the European economic community, so CE Europa cling to the union and that unique link with the EU. The club is the result of the fusion of two modest fan clubs that played football at the beginning of the 20th century in Barcelona, the “Provençal” and the “Madrid de Barcelona”. 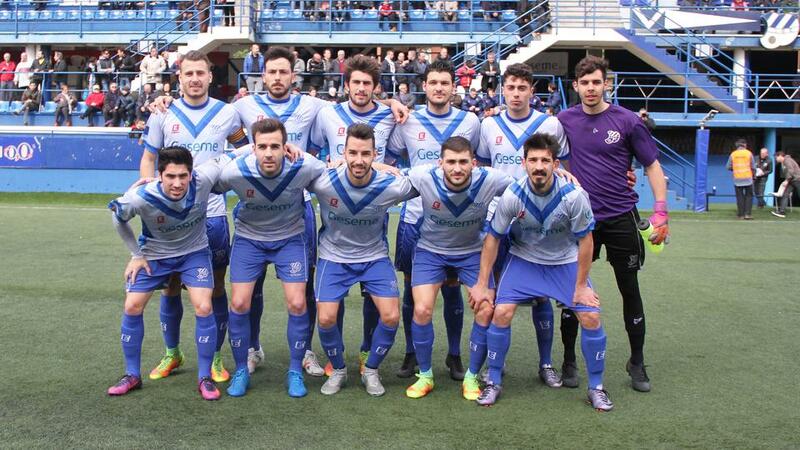 As paying a new inscription in the Catalan Soccer Federation cost a lot of money at the time, they decided to register paying off the debts that the FC Europa had stopped paying and of which no information has been found to date, so they could register by changing part of the name to become Club Deportivo Europa in Castilian. Later converting to Catalan in the 80’s (post-Franco) to be called Club Esportiu Europa. The Europa, like so many other modest clubs in the vicinity of Barcelona Capital, survived, as they say colloquially, “as best they can” alongside a giant like FC Barcelona, not only in the sportive and financial function but also in social repercussion. Its modesty, the history and the peculiarity of Europa in its environment are what separate it a little more alive than the others. That and good work in the technological section through social networks. It is impossible to separate the history of Europa from the neighbourhood of Gràcia, a neighbourhood which is proud of itself. Gràcia was an old Villa and was the last territory annexed to Barcelona in the early twentieth century. We could say that although in soccer clubs there are always among its partners and followers of all stripes, creeds and political ideologies, there is a side associated with the club. Besides, on the playing field, it has even implored the powerful people behind the scenes. The Catalan Championship won in the 1922-23 season permitted participation in the Copa del Rey, which was up until then, reserved only for the champions of the territorial championships at that time and with the league still to be created, was the main title in Spanish football. 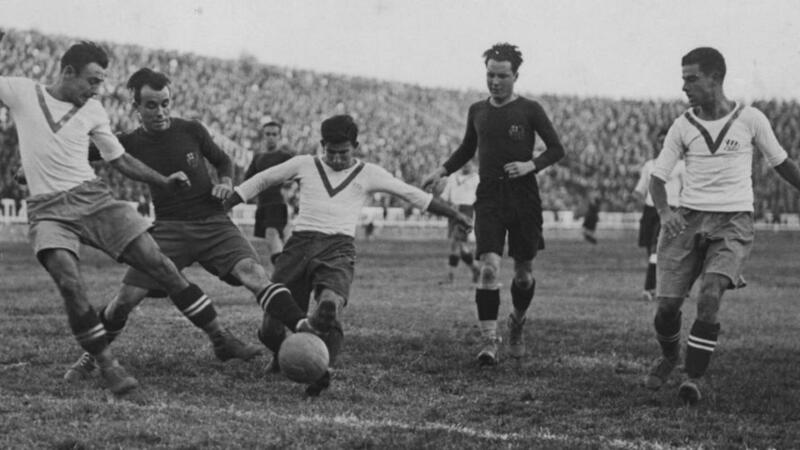 After eliminating Sevilla FC in the quarter-finals and Sporting de Gijón in the semi finals, they qualified to play the final against Athletic Club de Bilbao at Camp de Les Corts (FC Barcelona pitch at that time), on 13 May 1923. CE Europa succumbed to 1-0 defeat which, according to the chronicles, Europa crashed ten balls into the woodwork, only to end up losing by a single goal that Bilbao scored in a deadly backlash. In that fateful and historic night for the modest “graciense” club, a historical rivalry with FC Barcelona as its supporters was born, having been stung by their defeat in the Catalan championship, fans supported Athletic Bilbao and celebrated the defeat of a club from their own city. In the early 1930s, CE Europa began to suffer a severe crisis generated by the expenses caused by participation in the Spanish League and the rise of professionalism. The Club was forced to abandon its stadium, as well as a large part of its players, to whom it owed several months pay. After attempts to merge with other clubs in bankruptcy did not prosper, CE Europa decided to start from the bottom, retaining the entity’s name and badges, and so it was able to continue its history in amateur categories. After the civil war, all the regional tournaments were replaced and the League took a total protagonism sinking small clubs like the Europa. With the end of the civil war, the dictator Francisco Franco decided to impose himself on the provinces who were contrary to his regime, especially Catalonia. Catalan was banned, and everything that smelled of Catalan was eliminated. A great national league was strengthened and the regional championships were suppressed, being one of the great reasons for modest clubs to disappear. Barcelona maintained cordial relations with the dictator and the Espanyol as always was not involved in political subjects, in contrast, Europa was a rebellious club. If there is anything that money cannot buy, it is intelligence, and Europa has plenty of that. As its current chief of press, Ángel Garreta, tells me, they decided to be an innovative club, “In the year 2001 we inaugurated the club’s website in an amateur form and with sporadic updates. Since 2004, an article, interview or report has been published at least every day of the year. The intention was, at first, to grow despite being a modest club with few resources. Except for my own involvement as press officer of the club, many others participate as either technician who help with chronicles, photographers on internships, journalism scholarship holders, parents of the players etc. There is a strong network of involvement for the modest category in which we live, which in turn, helps when the budget constraint is the glass ceiling for not being able to do more. Pioneering in new ways to connect with fans included being the first club in Spain to broadcast a league game through streaming on the internet, which was a derby with the city’s top rival at the modest level. More than resources or budget, it is based on having ideas and imagination. Later, on May 18, 2008, CE Europa was also the first non-professional club to publish on the web a “minute by minute” of a match. An unwritten tradition in Barcelona as is in many big cities, is that when an artist visits the city, no matter if they are a football enthusiast or not, it is normal to perform with the shirt of the great club of the city, thus we have seen Snoop Dogg, Bruce Springsteen or Justin Bieber among others show the stripe of FC Barcelona. Some ill-informed or perhaps clueless artists have appeared with the national team shirt to celebrate the World Cup and have seen incredulous how the Olympic Stadium almost whistled and insulted them, ask the good Matthew Bellamy from Muse. Unfortunately, politics and independence continue to occupy places that should not be, as in sport or Catalan culture. Recently one of the most important national groups of indie-pop, Varry Brava, from Murcia, performed in Barcelona at Luz De Gas and did a courageous act of defending this modest club as the band took the stage with the team shirts, the murmur of the public was general and bewilderment seized the room. One of the members of the band lived for some time in the neighbourhood of GràciaIt, where it would have been easier to play with Messi’s shirt and win the easy applause, but they supported the weak. The press and club echoed the news, that concert will go down in the history of the club and the neighbourhood. A brave club, Quixotic and admirable, that fascinates anyone who understands a little of how football works and how hard it is for clubs to survive. As shown by an anecdote presented to us by Ángel Garreta, “After winning the Copa Catalunya against Barcelona in 1997, Sir Bobby Robson and his assistant at that time, Jose Mourinho, were so surprised that a Third Division club took a title from them, no matter how small it was, that both of them became members. That is to say, for a year Robson and Mourinho were members of the Europa.” This is how you fall in love with this great little club of European football.